Skye and her friend Chad work as teen counselors at Camp Tioga, a special needs summer camp in the mountains of Pennsylvania. One of the young campers who is deaf, Jonathan Martin, causes havoc no matter where he is or what he’s doing at the camp. Skye, who has taken a crash course in American Sign Language, tries her best to communicate with him. 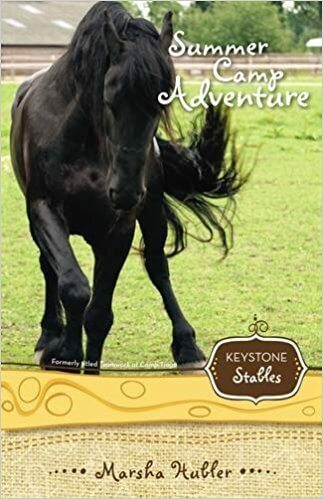 But when Jonathan and his horse Buddy disappear into the hills, Skye and Chad must lead the rescue to find them. If you'd like autographed copies, please use the Contact link and email Marsha for the details. Otherwise, you'll find her books on Amazon, Barnes & Noble, ZonderKidz (where applicable), and other online book retailer sites.